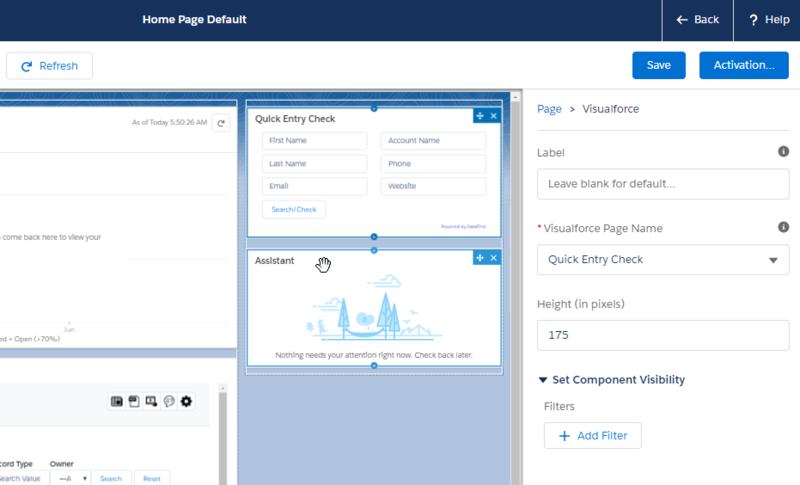 Similar to the functionality in Classic, it is now possible to add the Quick Entry Check component to the Lightning Home page, or anywhere else you like it. 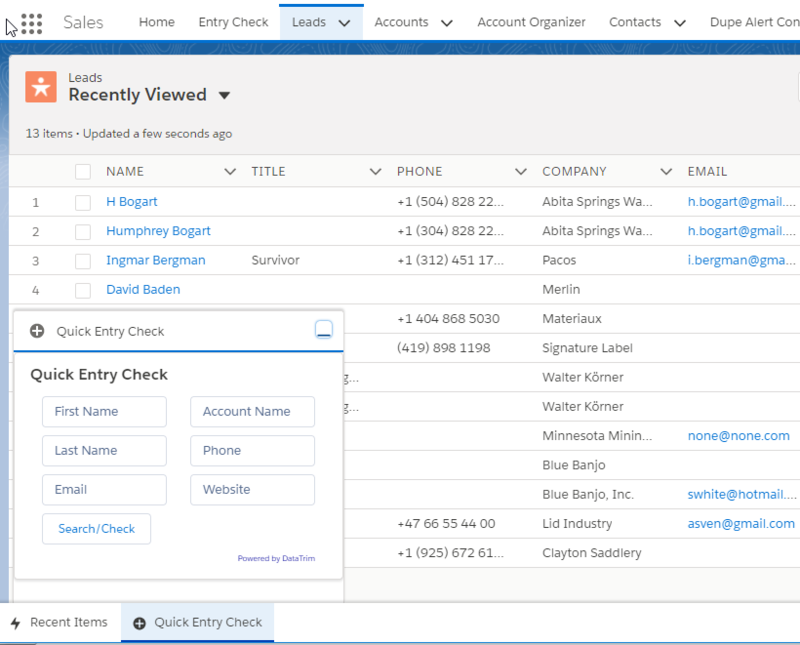 The Quick Entry Check component will allow you users to jump directly into the record creation process, from the Home page, regardless of whether they are about to create an Account, a Contact or a Lead. An in addition they will be taken through the valuable Entry Check process which will prevent the user from creating duplicates, just by typing a few basic details for the new records to be produced. 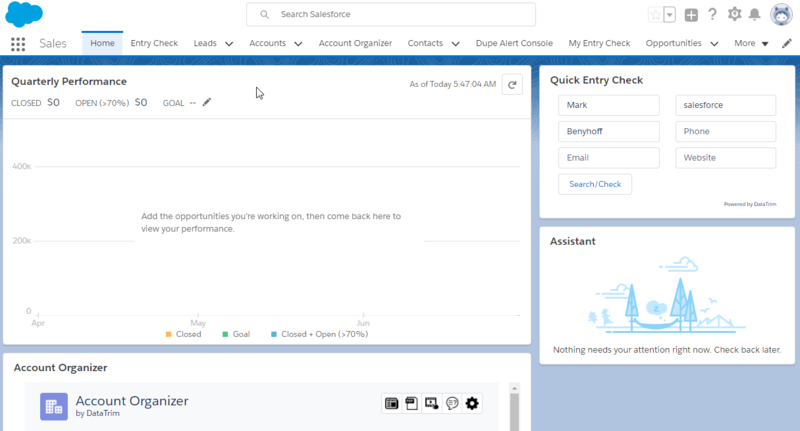 With a few more clicks and leveraging the standard Utility Bar functionality in salesforce, you can add the Quick Entry Check component to the Utility Bar, and have it availabe on any screen. 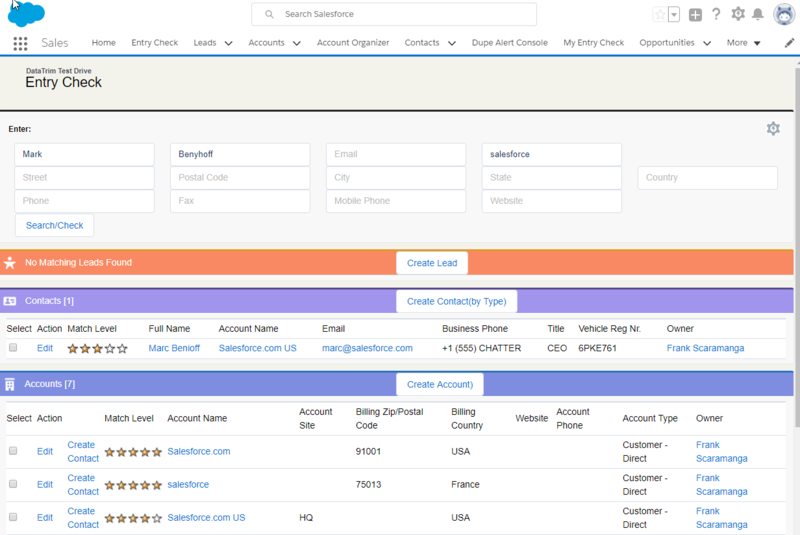 -Once the user enters these few basic details and hits the Check/Search button, the user will be presented with the Entry Check Screen, where results from the fuzzy searching is presented in a single screen, now allowing the user to decide whether to proceed with creation of the new records or continue working with one of the existing records. Available in Classic as well of cause! Go to the Home Page in Lightning and Edit the page. Add a Visualforce component to the right most pane. Select the Quick Entry Check page, and set the height to 175, and you are set to go. For the UtilityBar, go to the App Manager, select your App, and Edit it. 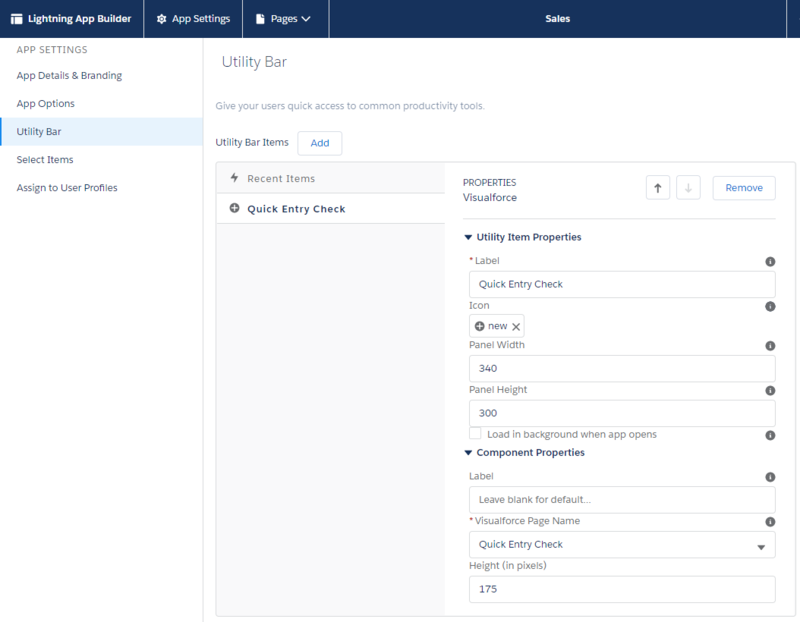 On the Lightning App Builder page you will find the Utility Bar editor. Let us know if you run into any questions. General availability: April 2018, a new version of DataTrim Entry Check. Take the advantage of upgrading your existing version and benefit from this new feature or Install the Trial version from the AppExchage to get started.